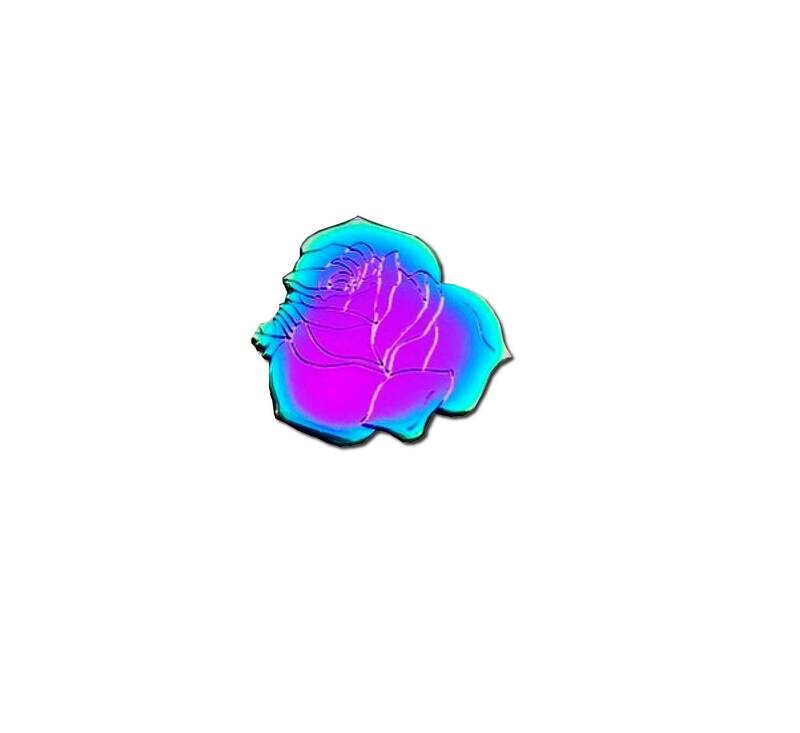 Rainbow enamel changes color in the sunlight. 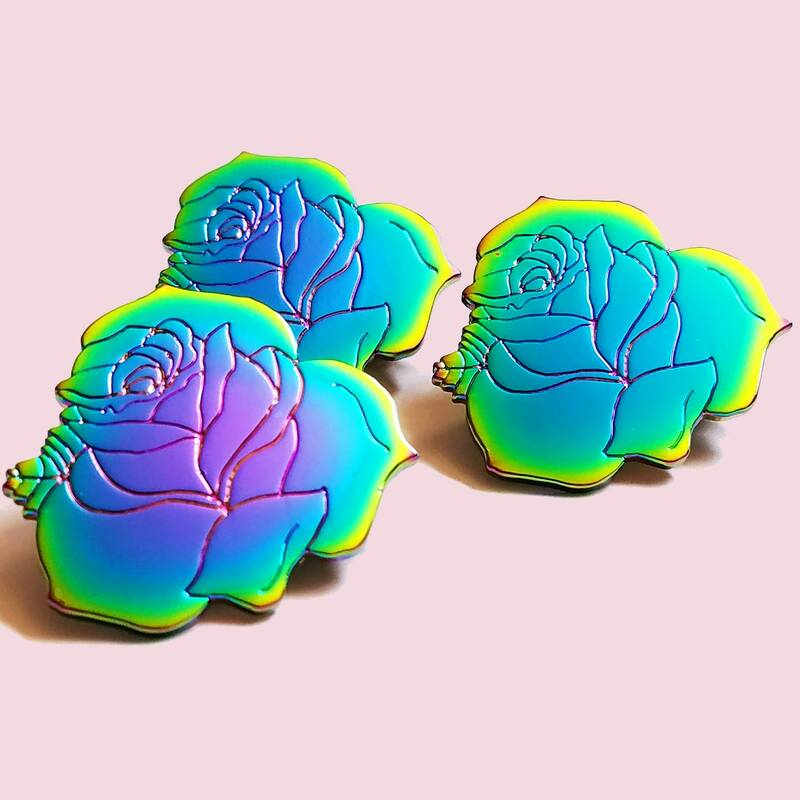 1.25" Rainbow enamel rose pin. So gorgeous... you have to see this pin in person. The pictures don't do it justice.